The holiday time is knocking and it’s so crazy how quickly each year the holiday season comes around. I for one know that this year has been ups and downs and with getting back on track has been hard. But I know there is no better time like the present to get back on track with my health and fitness journey. 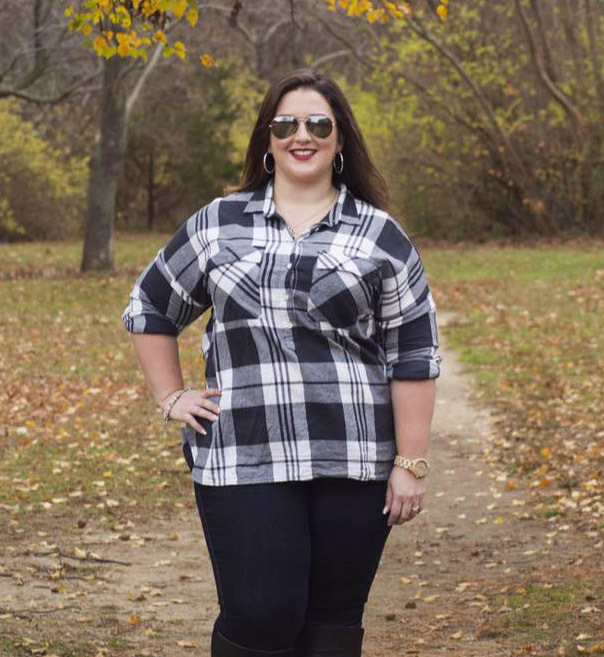 This time of the year is busy not just as a blogger, but CA and I usually get busy around this time as well. We’re seeing family, going into NYC to see the Christmas tree and visiting friends! 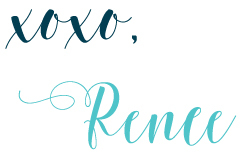 But mostly as a blogger, this time of year means I’m constantly busy and working on things for my clients too. It’s easy to make a plan but sticking to it, has always been my downfall per se. I’ve finally figured out what I need to do and what works for me. I figured I can’t be the only one who needs a few tricks to starting and staying on track. Start Small- This has always been one thing that was my problem, I always went all or nothing. But I finally realized that I needed to start small, have a small starting point and grow from there. If I am “cutting” down or out of things I try and keep it one thing per week, or maybe two. So maybe only one or two sodas a week (or if I get a migraine), and only one day of fast food. I don’t cut anything completely out, I just cut down the number of times I have it, and use it as a “treat”. Write The Plan- This is where I use my ErinCondren planner. Since I am a VA and blogger, I plan everything out for the week or two weeks in advance so I meet all deadlines. I also make sure I have important appointments, date nights, meal plan and workouts. It doesn’t have to be a fancy planner, it can just be a notebook, write out the days of the week, and what you’d like to do that week. Maybe just go for a walk before or after work, maybe do yoga, or an app guided workout. Figure out what works for your schedule, and make an appointment with yourself to work out, because you’d never miss an important appointment. Why is it any different when it’s your health and fitness? Fuel Properly- This goes hand in hand with eating according to your health and fitness goals. I’ve recently realized how much sugar sodas contain and knew I had to cut way down on them. This is where V8 +HYDRATE comes into the picture, and it doesn’t disappoint! It’s Plant-Powered Hydration with one serving of veggies at only 45 calories. 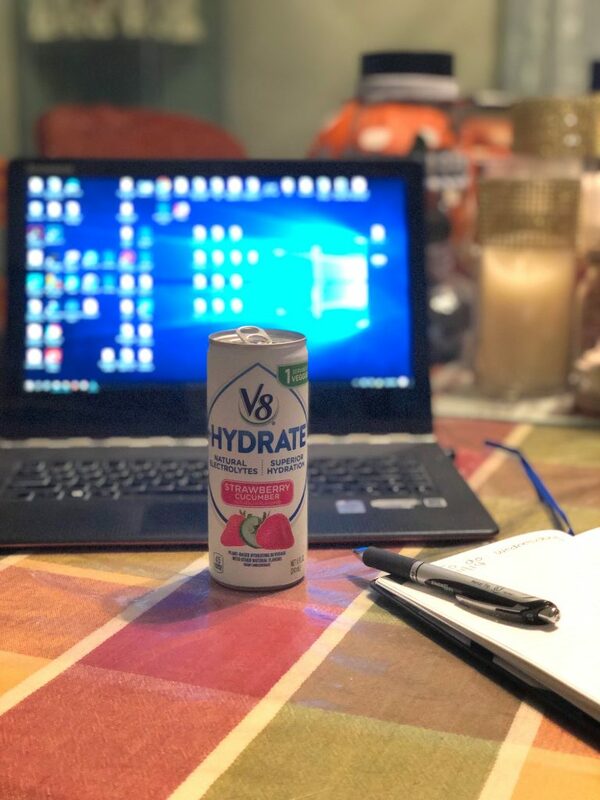 V8 +HYDRATE also contains No Sugar Added, No artificial sweeteners, it’s also Non-GMO, Gluten Free, and Vegan-Friendly! Doesn’t that sound just amazing!? V8 +HYDRATE comes in three amazing flavors, Strawberry Cucumber, Coconut Watermelon, and Orange Grapefruit! I will admit Strawberry Cucumber is my favorite but the Orange Grapefruit is the perfect after morning workout drink to recharge and get you ready for the day! To learn more about V8 +HYDRATE visit this site! Simple Rewards- I love setting up a little reward system that goes in line with my goals. Like if I work out 3 days that week, I’ll treat myself to my favorite ice cream or glass of wine. Or if I meet the goal for the month, I’ll get a new workout top, or maybe a new dress to go out with! You have to set the goal to whatever you’d want to work towards, what would motivate you to get that reward. Whether it’s new workout gear, new clothes, a night out to your favorite restaurant, or a night out with the girls indulging whatever you’d like! Weekly, Monthly, Ultimate Goals- This will go hand in hand with planning, rewards and fueling properly. All of the pieces will work together and help you reach whatever goals you are setting for yourself. Whether it’s to get fit for your wedding, a vacation, life, or just feeling and looking your best. This is for you, so the goals you set must be realistic. Especially weekly and monthly goals, they need to be attainable but not too easy where you won’t put an effort to reach said goals. Weekly goals for me are, making sure I get my workouts in, usually a ratio of at least 3 out of 5. And monthly goals are running a certain number of miles, and a certain number of workouts. Ultimate Goal is to be determined but I do have one in mind that I’d like to hit some time in the future. If you’re looking for a great way to recharge after a workout. 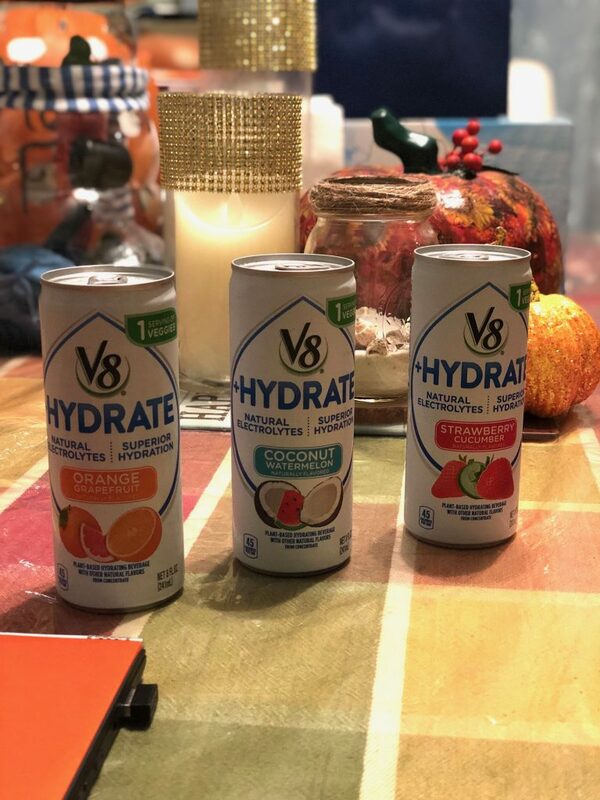 Busy shopping season or just a busy life definitely check out one of the three V8 +HYDRATE flavors!